October is Fire Safety Month - Do you know Two Ways Out? - Scarsdale Premier Insurance Agency | Advocate Brokerage Corp.
October is Fire Safety Month – Do you know Two Ways Out? Every October, the National Fire Protection Association launches a campaign in an effort to bring fire prevention into the spotlight. Each year NFPA chooses a specific theme and this year is no different. While the last two years have focused on the importance of smoke detectors this year they are tackling a new topic to help keep your family safe. to escape a burning home before it’s too late to get out. A mere 120 seconds can mean the difference between life and death. This year’s theme emphasizes being prepared with an escape plan that includes two ways out from every room in your home. Advocate Brokerage would like to encourage all our family, friends & customers to take a few moments to create a Two Ways Out plan of your own. Teach children how to escape, in case you are not able help them. Remind everyone to close the doors behind them when they leave, to slow the spread of smoke, heat and fire. Each news story reporting a home destroyed or a life lost to a fire is one too many. It is because of our commitment to educating each client we serve that we are pleased to share with you additional information to keep your family safe in the event of a fire-related emergency. Read on for more information on the importance of detectors & central station alarms. A smoke detector in good working order can prevent a tragedy. If your home doesn’t have smoke detectors, be sure to get them installed ASAP. If you have them, be sure to test them each month to be sure they will work when you most need them. Make sure you have alarms in each bedroom as well as outside each sleeping area. At minimum, install a smoke alarm on each floor, including the basement and the attic. In addition to monthly testing, be sure you replace the battery yearly. If your smoke alarms are 10 years or older, it is a good idea to have them replaced. Consider having an interconnected alarm system, particularly in a larger home. if Central Station Fire Alarms are installed. Having a central station fire alarm installed in your home can save your family’s life. With a central station fire & burglar alarm system when an alert is triggered, operators within the monitoring station dispatch the police and/or fire department right away. You will gain peace of mind knowing that you no longer have to rely on a battery to alert your family of danger or a neighbor to see the fire and report it. Plus, insurance companies provide a significant discount for proper installation of both a central station fire and burglar alarm system. Make sure the house number is clearly marked so that it is easy for the fire department to find. If your house is off the beaten path or more difficult to locate, it may be a good idea to call your local fire department and be sure they know how to find you. Make sure to have the phone number to the local fire department saved in your cell phone and to teach children to call 9-1-1 in the event of an emergency. Register a key-holder with your local fire and police department. This identifies whom emergency responders should get in touch with in the event of an emergency situation. Check with the local fire and police departments for their procedures to have a key-holder put on your record. Once you get outside, stay outside, you never should go back inside. Designate a specific meeting place for your family to go to, either across or down the street, in the event a fire separates you. If you are ready to take this important step, we can help. 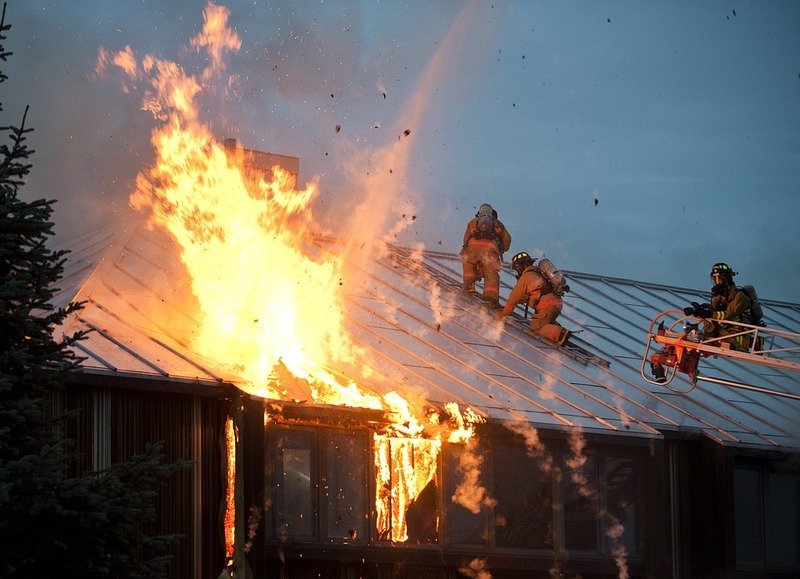 We can talk about protecting your home from fire damage all day. Give us a call at 914-723-7100 for recommendations on resources and further information about insurance discounts.